Essential oils produce lovely, therapeutic smells that eliminate odors naturally. What's more, they don't affect the service life or quality of your furnace filter. Get a new filter — You're unlikely to smell the essential oil perfectly if you add it to a used, clogged filter. For that reason, start by purchasing a new furnace filter. Pick your scent — The best thing about making your own scented filter is you can choose whichever scent you want. 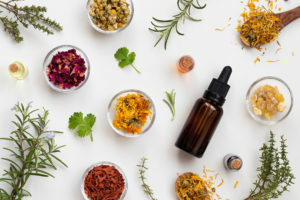 You can play it safe by selecting a universally acclaimed scent like citrus or go bold by mixing oils, such as eucalyptus and peppermint or lavender and lemon, to create your own scent. If you're combining two oils, place a drop of each one on a paper towel. Let them mix for a few minutes before testing out the mixture. If it appeals to you, you can move to the next step. Place the chosen scent on the filter — Once you've selected the scent you want for your home, it's time to put it on your filter. Apply 15 to 20 drops of the essential oils to the filter. Make sure you spread the drops out over the entire filter's surface. Install the filter — Finally, install the scented new filter and start your furnace. Once your furnace starts running, the scent from the essential oils will spread throughout your home quickly. It will start fading after around 30 days, so you can then change the scent along with the filter. For more useful HVAC tips, contact the experts at Hartman Brothers Heating & Air Conditioning. Since 1963, we've served the home comfort needs of satisfied clients in the Fort Wayne area.